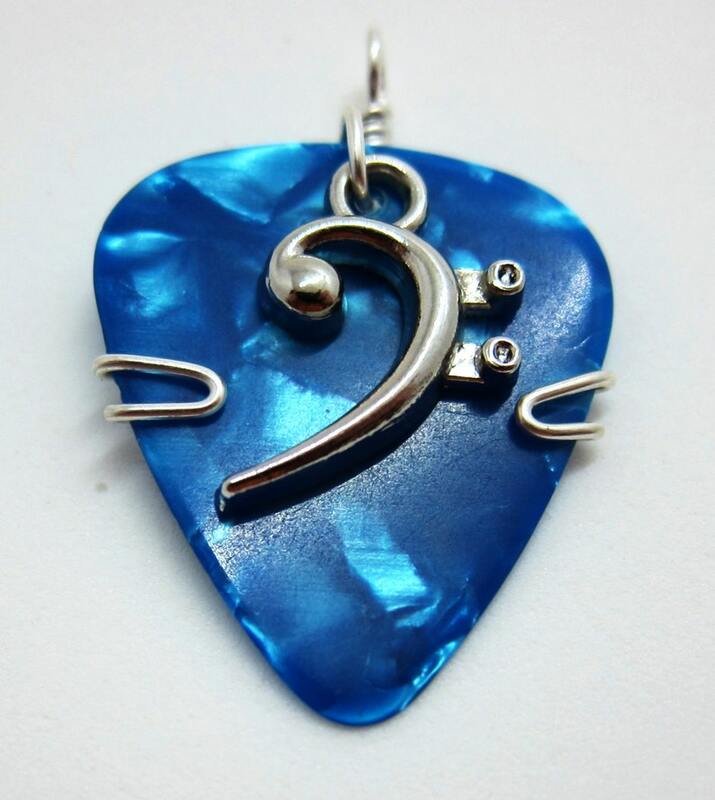 A guitar pick pendant made with a medium gauge guitar pick. 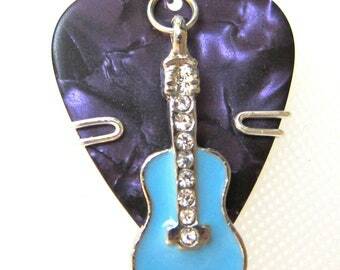 This is a blue guitar pick with a bass clef charm on it. It is wire wrapped with silver plated copper.